Music video platform Vevo is getting its own apps on PlayStation 4 and PlayStation 3. The company says the apps have been built from the ground up to fit the interface experience on the Sony devices, and provide access to dedicated artists pages as well as Vevo’s original programming. When you play a video, you’ll see recommendations tailored to what you’re currently watching. All videos are played in HD. The apps also let you create and edit playlists as well as sync them with Vevo’s apps for other platforms. Vevo for PS4 and PS3 launches today in the UK, Australia, France, Germany, Ireland, Italy, The Netherlands, New Zealand, Poland, and Spain. The US, Canada, Brazil and Mexico are next. 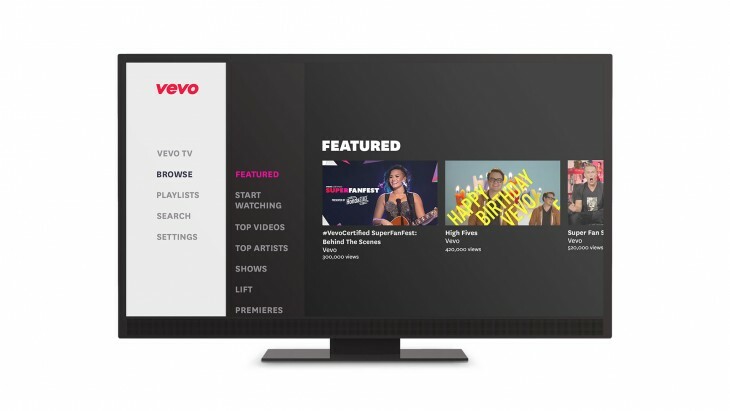 ➤ Vevo launches on PlayStation®4 and PlayStation®3 in Select European Countries Today!